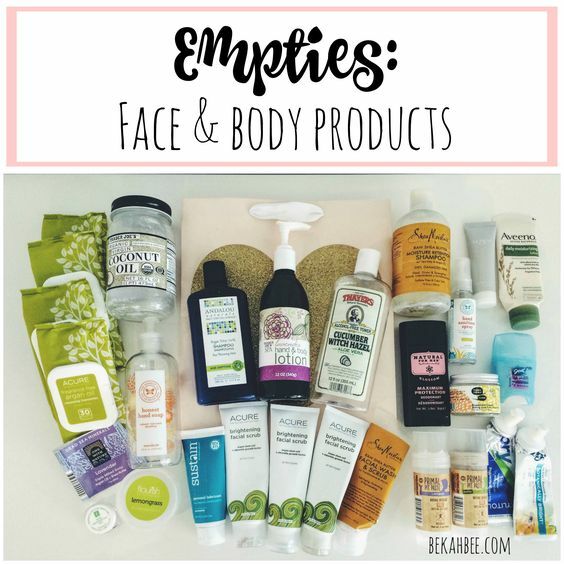 More empties, this time all my face & body products! Trader Joes Organic Virgin Coconut Oil: For a good year or so I used coconut oil on my legs after I shaved to soothe and moisturize them and it works amazingly! I have since moved on to body butter, but I still highly recommend coconut oil for that purpose. This one did have the coconut scent which was nice, and it was only $6 at Trader Joes and lasted me forever! The Honest Company Hand Soap in Mandarin: This hand soap smells so nice and I really liked it! However, it did dry out my hands quite a lot, which is what always seems to happen for me when I use liquid soaps. I usually like bar soap instead since I am washing my hands all the time, but it is nice to get pumps sometimes to have on hand for guests. Flourish Lemongrass Body Scrub Sample: This sample was sent to me as a kind gesture since I let Flourish know that the pump on the spray conditioner I got from them wasn’t working properly. (they also sent me a better pump) I thoroughly enjoyed using this! In fact, I think it spoiled me for life because it made me remember how amazing body scrubs are. My secret for the softest, smoothest legs ever is to use a body scrub on them first to exfoliate, shave and follow up with body butter. So silky! The lemongrass scent is the only thing I would change since I much prefer other scents, but I’m sure many people would enjoy it. Eminence Organics Pink Grapefruit C-Gel Sample: Holy effective sample! This stuff knocked my socks off. I honestly can’t remember which company added this sample to my order. You know a product is super promising when you are hooked after just a few uses from a sample. This is actually a moisturizer, but feels more like a gel/serum. I used it for several nights after washing my face and I loved how it felt. I also feel like it made a huge improvement in a breakout I was having in a very short time. It smells so refreshing, like grapefruit and mint, with a minty-fresh cool feeling. The combo of mint and grapefruit was very unexpected and unusual, but it totally works together actually. I just placed an order for the full size of this, and man was it pricy ($58)! But I have high expectations, so hopefully it delivers! One With Nature Dead Sea Minerals Lavender Soap: I grabbed this soap at a Sprouts when I was out of town visiting family, since I forgot to bring a soap. It smells SO good and feels very moisturizing when you use it and doesn’t dry out my hands like liquid soap. Andalou Naturals Argan Stem Cells Age Defying Shampoo: I posted a little more about this shampoo (and conditioner) in my vitacost haul post here, and I finally finished the bottle. I would say it definitely does what it says it does, which is to help with hair loss, since I did see an improvement. But it is not my fave smell, and I am not sure yet if I will repurchase it in the future because of that. We’ll see! Trader Joes Lavender Hand & Body Lotion: I went through another bottle of this lotion, and I really like it a lot. It does have Phenoxyethanol in it, but it is pretty clean other than that! Thayers Alcohol-free Cucumber Witch Hazel Toner: I tried another scent of Thayers Witch Hazel and it was nice, nothing bad to say about it except I still like the Rose one better and will stick to that one in the future! I feel like the Rose one is the most effective for my skin as well. Shea Moisture Raw Shea Butter Moisture Retention Shampoo: Always a tried and true favorite! My hubby still uses this and we love it. I have talked about this shampoo like a million times already, so I will spare you, but check out my other beauty posts if you want to see more! The Honest Company Hand Sanitizer Spray: Loved having this hand sanitizing spray in my purse for those germy moments being in public! (and I am totally a germaphobe, so it’s a life-saver!) I don’t think this one had any other scent than just the standard sanitizer smell. I have repurchased another since. Honest Beauty Gel Cleanser Trial Size: I got the trial package from Honest Beauty when it launched, which came with several trial size skin care items. I tried to give this at least a week or two before I judged it, but I just didn’t see much of a result in my skin and I really didn’t care for the scent. It was very strong and somewhat..piney? Not sure, I think it may have been Vetiver or something like that. I would definitely tolerate certain smells if they did amazing things for my skin, but I just think other things will do more for me! Aveeno Active Naturals Daily Moisturizing Lotion, Fragrance-Free: This lotion gets a rating of a 2 on EWG.org, which is a good score. It has some things in it that aren’t the cleanest but I am ok with using it until I find a good natural hand lotion to replace it! I can never be without either lotion or chapstick, so I always have to have one in my purse! Meow-Meow Tweet Baking-Soda Free Deodorant Cream in Grapefruit: Everyone has such great things to say about this deodorant, and this was my first time trying it. I REALLY wanted to like it, since I would love to find a deodorant without baking soda that actually works for me, but so far I have not had much luck. Boo. I am glad I gave it a while before deciding what I thought, because for the first week or two, I actually loved it and I thought it was super effective! But after those first weeks, it did not work anymore and just could not hold up to the super HOT, humid Texas summer days. I could definitely smell myself, and that is a deal-breaker to me! But, I am someone who does need a lot of odor and sweat protection, I know some people don’t have as big of a problem. Herban Cowboy Maximum Protection Deodorant in Blossom: Another deodorant that didn’t work for me. To be fair, I did not fully understand the detox period back when I tried this, so I only gave it a few days and then couldn’t handle that it didn’t work. I did really like the Blossom scent. Because I found my fave Primal Pit Paste finally and I knew it WORKED, I didn’t feel like giving this more of a try and going through the detox period. Tom’s of Maine Botanically Bright Peppermint Toothpaste: This is my go-to toothpaste. I was super proud when I found it, because it was really hard to find one that was both SLS and flouride-free, so I was so excited when Tom’s launched this one! I like the Spearmint flavor the best. I have been able to find this in a few local stores, so that is exciting. Spry Xylitol Peppermint Toothpaste: I got this toothpaste when I couldn’t find my Tom’s anywhere, and it’s pretty good as well. Spry is a brand my mom buys, so I knew it was a pretty good one. One thing I was disappointed about though? I accidentally grabbed one with flouride first and had to go back and return it! I honestly didn’t think Spry would make one with it in it, so I was kind of shocked. Shows you need to pay attention to your labels though! Shea Moisture Raw Shea Butter Facial Wash & Scrub: This is the first natural face scrub I bought for my hubs when he agreed to transition to natural ones. I thought it would be an easy win since we love the Shea Moisture Raw Shea Butter Shampoo, but the face wash just wasn’t “scrubby” enough. Acure Argan Stem Cell & Chlorella Growth Factor Brightening Facial Scrub: This was the next one we tried for him, and he ended up really liking it! I think it grew on him even more as time has gone by and he doesn’t see the need to try any others. I also started trying this just this last month and LOVED it too! I saw such a difference in my skin with the exfoliation. I had been slacking on that recently since I thought my skin was too sensitive, but it shows that I really do better with it. Sustain Personal Lubricant in Unscented: I debated whether or not to add this empty to my post, but then I thought: “what the heck?” Lots of people need to use lube, why not?! Until recently, I had never thought to question what ingredients are in the standard options and I found out there are parabens and other yucky things. I was excited to find the Sustain brand! Great alternative with totally clean ingredients, yay! 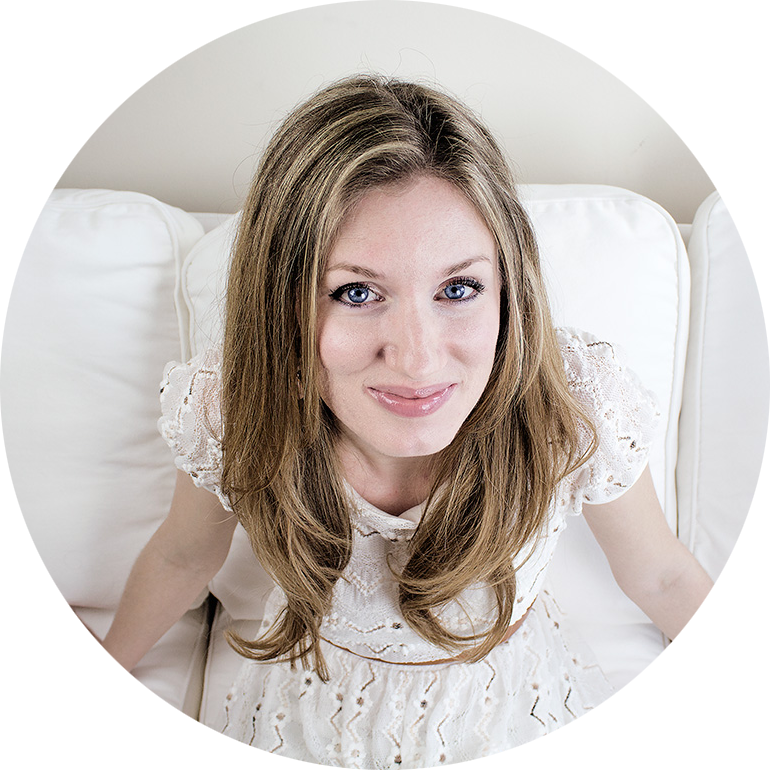 This entry was posted in Beauty on 09/12/2016 by bekah. 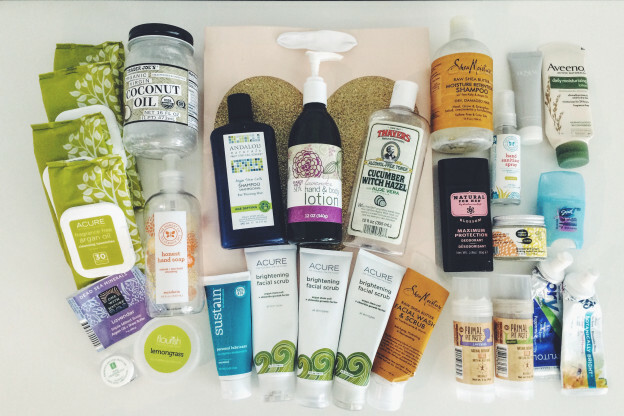 I’m reading alllll your empties posts right now, haha. My gosh, there is just SO much I want to try! Definitely buying Primal Pit Paste when I run out of the natural deos I have right now! There’s so much I want to try out but the Shea Moisture facial mask is definitely a must!